Could Asperger’s Syndrome explain a great deal about my unhappy childhood? 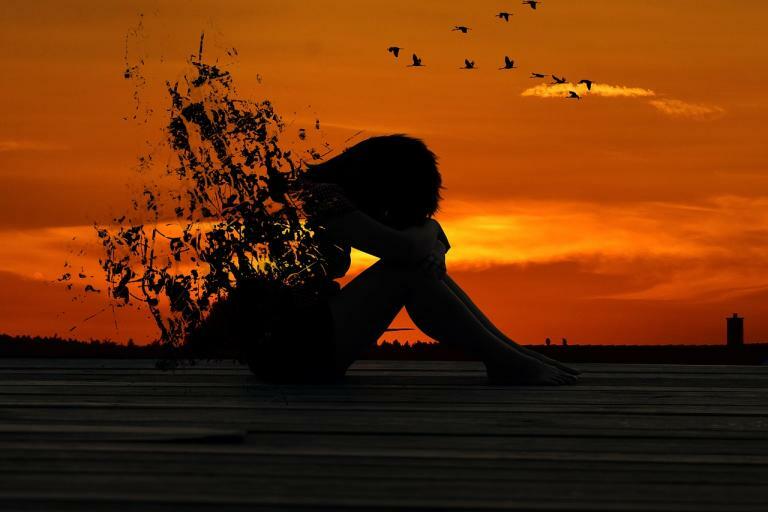 Recently I read what was, to me, a startling article reporting on a study that showed a connection between depression, bipolar disorder, schizophrenia, alcoholism and autism, including Asperger’s Syndrome or High Functioning Autism. Apparently this is not such a new finding as I had thought when I first read the article. That’s not surprising, since I’ve been out of the research loop for almost 3 years now. Still, for me it was one of those “OY!” moments. Autism? I’d heard about connections between all the others – but not that. And as it turned out, this study did break new ground. After the stress echocardiogram, Erika, the PA I see at my doctor’s practice (what, see the doctor? Once in half a dozen blue moons! ), sent me a message saying she wanted me to have an angiogram as soon as possible. When I called the cardiology department, they wanted me to wait about three to four weeks just for a consultation. So I called Erika and left a message telling her this and saying, basically, “Didn’t you want this done sooner than that?” Then HER nurse called me back and we went through the whole thing again, and damned if I couldn’t hear Erika in the background – so why wasn’t she talking to me? Anyway, someone, somehow, leaned on the cardiology department and got me an appointment the following week for a consultation with Dr. Cohen’s PA.
My immediate family are Episcopalians (as I was raised). The daughter of my heart says she’s “pretty much an atheist.” The son of my heart is Jewish. I am none of these, and have no holidays that correspond with my rather inchoate beliefs, so I have, since the death of our mother, celebrated Christmas (and sometimes Easter) with my brother who lives nearby and his family. But over the last few years my son Joey’s Jewish faith has become more important to him, and what matters to him becomes important to me. 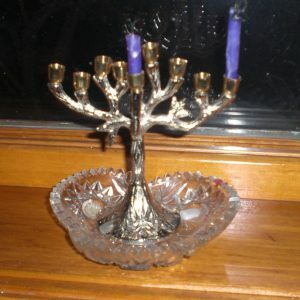 I had been looking for a menorah but hadn’t found one I liked; then last year he sent me a small pixie-ish menorah for Hanukkah. That settled it. This year I would celebrate this winter holiday with him and his family from afar. Hanukkah is not an important holiday – it just gets extra press because people feel like Jews ought to get some attention at this time of year, too. But it is the first Jewish holiday this year that I’ve been able to celebrate. It’s not that I am converting to Judaism. I am honoring my son’s faith. I hope to celebrate the much more important Passover with him in person next year. Coronary Artery Disease? From Where?